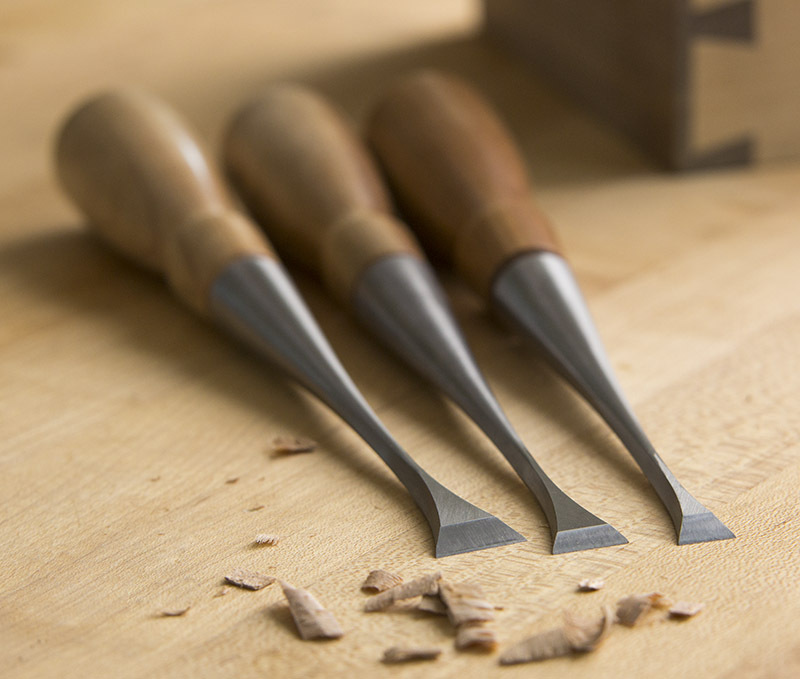 The bevel comes ground sharp at 25º, but a higher secondary bevel is advisable, depending on the wood and how the chisel is being used. On very hard woods, like oak, hard maple or exotic species, take lighter cuts and use a higher secondary bevel. Additional honing is recommended. Click here to view our YouTube video demonstrating Fishtail Chisels. Click here to view our YouTube video "Quick Tips: Sharpening Fishtail and Corner Chisels". Available in three sizes: 3/8", 1/2", and 5/8".